Some companies want them, and for others it does not impact their operations….. but what you have to ask yourself is what benefit can they bring YOU! Bottom line: Technical & Professional certifications are valuable to obtain if they are considered valuable in your field. I predominantly work in the Technical Infrastructure Supportspace and in the current competitive market I’m seeing a surge in their demand. What added value could they bring to your current position? Could a course and cert help advance you into an area of interest? Make you more valuable and competitive among your peers? Would they help differentiate you from the crowd? Envisage the volume of CV’s a company is going to receive and your competition. You need to think about what is going to differentiate you from your peers so you can take the next step on your career ladder. Having technical certifications, shows the company your initiative and interest in personal development and interest in your area of expertise. 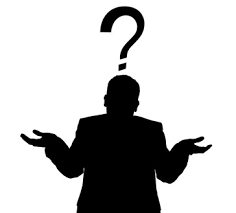 All things being equal, if you were a company and received one CV with a technical cert and one without – who would you choose? Again, consider the employers view point. With certifications you are validating your knowledge and expertise. Have you become an expert within the company? Have you differentiated yourself amongst your colleagues? If your professional skillset and knowledge are in line with the company’s business, and you are expanding upon this by getting certified, you are giving yourself a strong business case for salary negotiation and advancement at promotional reviews, this can also encourage the company to invest and develop your skillset with you. Some companies align salaries with certifications, I’m sure that’s motivation enough. In such a competitive market, certainly within the Infrastructure/Support space, Engineers are being shortlisted, not just on their years of experience and expertise with specific technologies but top level certifications are being demanded with high-end specialist roles. 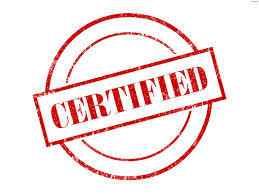 Ensuring you are up to date with latest technologies and having the certifications to prove it, assists employers in validating skills and experience. It is important that you do your research and find certifications that compliment your current skillset and work environment (keeping you competitive in your current position) as well as develop upon these for future growth and progression. Yes, there is a financial outlay, but consider it an investment in yourself and your future. In my opinion, it is very simple…. 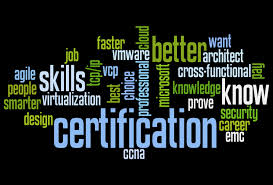 Technical Certifications validate your skills and experience, therefore start with the ones that support what you are currently doing and build from there. When it comes to an Interview, it is all about first impressions. Being prepared is essential to making a good one! You have applied for a position; your skills and experience are coming up as a match to the requirement and subsequently you have been called to interview. Do not do yourself an injustice! Put in the effort and give yourself the best possible chance of being the company’s first choice for the position. I’ve come up with the SPREAD technique as a guide for interview preparation to assist in having you as prepared as possible to give that best first impression. Find information on their values and statement on culture: Researching the culture and values of the organisation will influence your decision on whether you want to work there. Really, this should be done at the application stage but is usually overlooked. Knowing the culture of the company is important. What is described? Does the culture and values align with you personally? Do you feel you would fit in? Would it be a place you would want to work etc.? These are very important factors that many overlook. The culture and values are where you will get a feel for the ‘type of person’, and traits the company looks for from employees, it can be a great source for behavioural pointers prior to an interview. If what is described is not aligning to your key traits, do not be discouraged. However, it is something to be aware of and over the course of your interview, there may be related areas that you can query to put your mind at ease or help you to make a decision. Professional Sites: You have been given the names and job titles of the interviewers. It is a good idea to search for their profiles on LinkedIn. Any information such as, how long they have been in the company, brief role descriptions of what they do or industry connections can be insightful. Glassdoor is another useful resource for information on companies. The site provides “employee generated content”, anonymous salaries, company reviews, interview questions etc. All posted by employees, job seekers, and sometimes the companies themselves. ask for upon arrival, introduce yourself, smile and shake hands! If for any reason (and it needs to be an excellent one! ), you happen to be running late, ring your Recruitment Consultant or Point of Contact on the way and make them aware as soon as possible so that they can update the appropriate people. It is better to have this explained and expected than just whittling off your excuse as you walk in flustered and them frustrated. People are very understanding as long as you conduct yourself in a professional manner and have a valid explanation.